Q 2: Two poles 6m and 11m stand on a plane ground. If the distance between their feet is 12m, determine the distance between their tops. Q 3: A ladder is placed in such a way such that its distance from the wall to the foot of the ladder is 5 cm, its top reaches a height of 12m from the ground. Find the length of the ladder. Q 4: A ladder 20m long reaches height of 16m above the ground. Find the distance of the foot of the ladder from the wall. 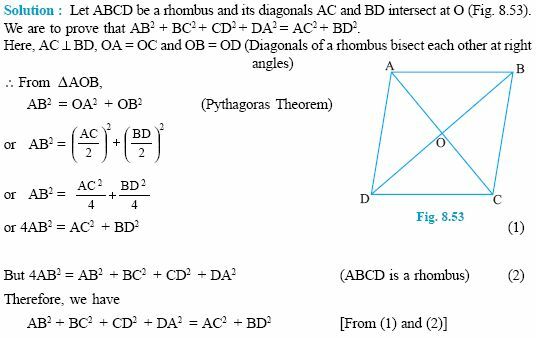 Q 5: The sides of a triangle are 7cm, 24cm, 25cm, check if this is a right angled triangle. Q 6: A ladder 20 m long reaches a height of 16m above the ground. Find the distance from the foot of the ladder to the wall. 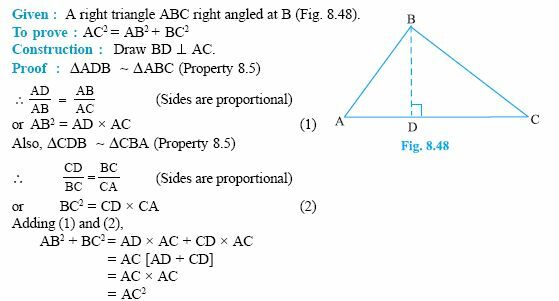 Q 7: The sides of a triangle are 50cm, 80cm, 100cm, check if this is a right angled triangle. 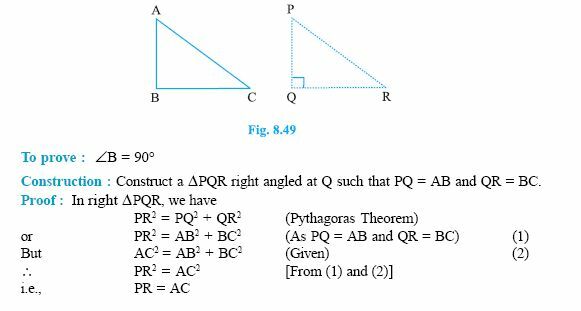 Q 8: A person goes 10 m due east and then 30m due north. Find his distance from the starting point.